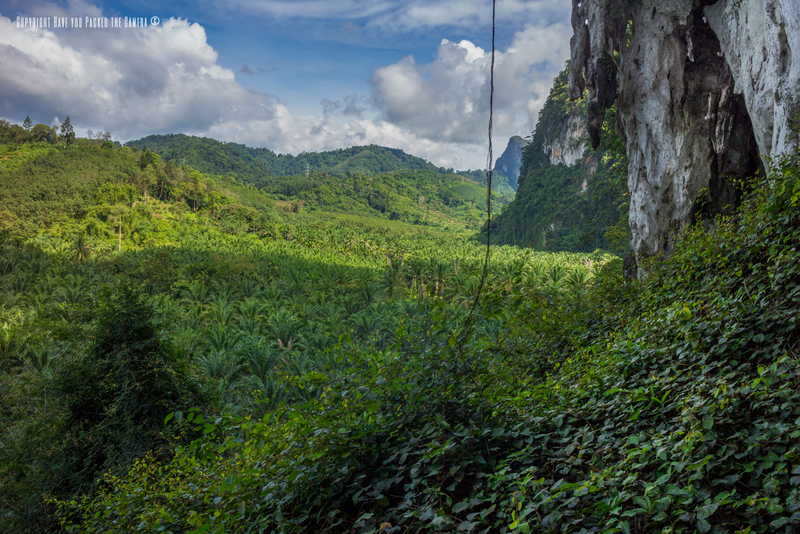 During our Thailand adventure we wanted to see some of Phangna province and explore the region. 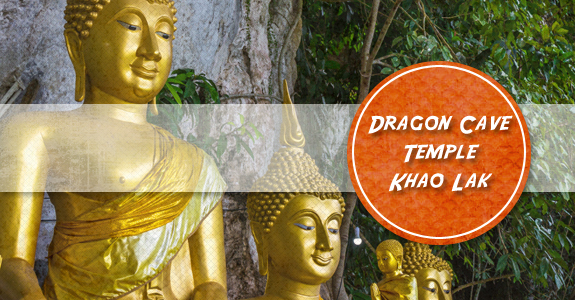 We booked several tours with local companies and one tour was the Three Temples Tour with Khao Lak Explorer. 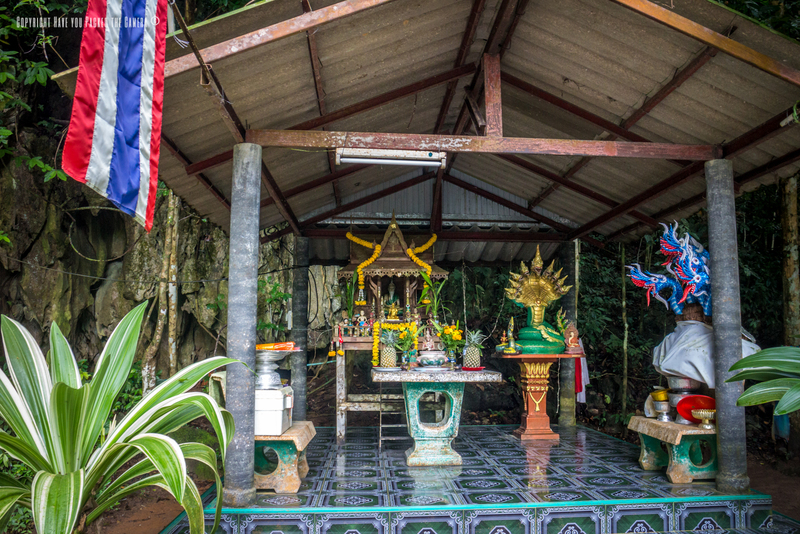 This tour takes you to three different temples in the Khao Lak area – each temple has a completely different design and style and represents a different aspect of Thai architecture and religion. 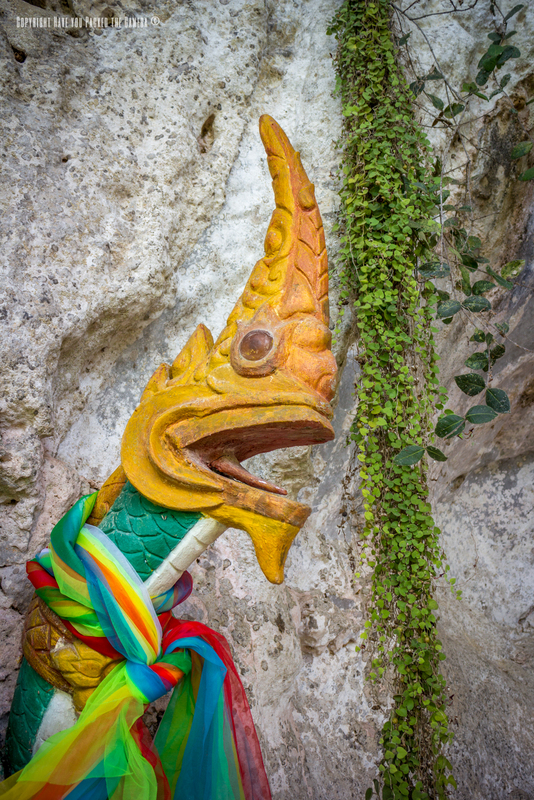 The temple that I found the most interesting was the Dragon Cave Temple – this temple was simply magical and the location, setting, design and style of this limestone temple I found to be fascinating. This temple was the first one we visited and it is also the one that requires the most physical exertion. 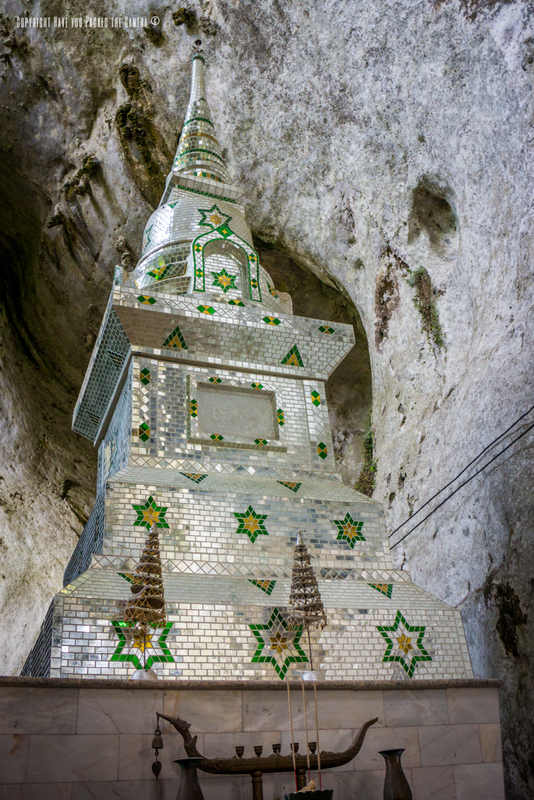 The temple itself was built into the side of an immense limestone rock formation and several chambers, caves and passages have been carved out of the rock itself. 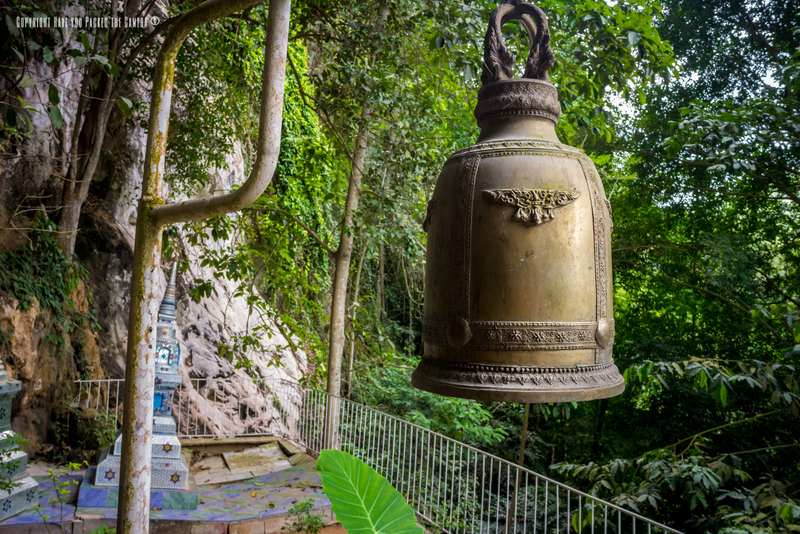 At the entrance of the temple there is a small shrine and then a staircase that leads up to the main area – on this staircase there is a series of brass bells that the monks ring every morning as they ascend to pray and meditate. In the main chamber there is a large shrine complete with a prayer mat and a series of statues of both Buddha and the Buddhist monks. Our tour guide showed us how to pray using incense sticks and candles, and the correct hand gestures and stance – although we are not religious, we still found this really interesting. 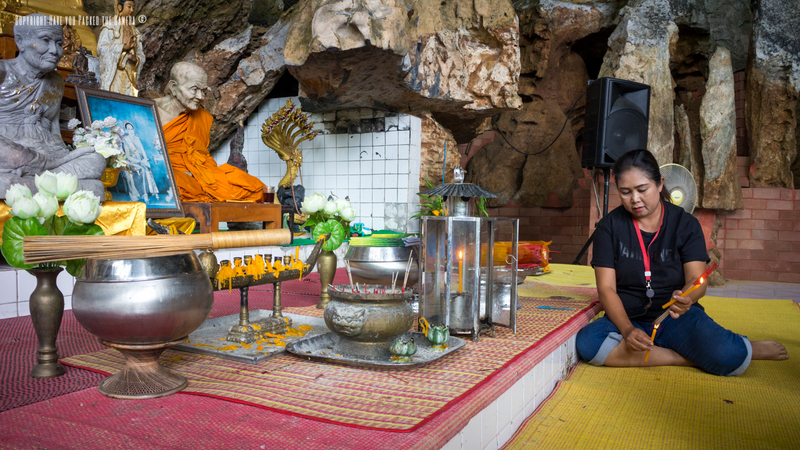 Deeper into the limestone caves there is also a series of tunnels and smaller caves that the Buddhist monks use to pray and meditate. We climbed several staircases and walked through some of the tunnels – there was sand on the floor and despite the depth and size, the tunnels were quite airy. 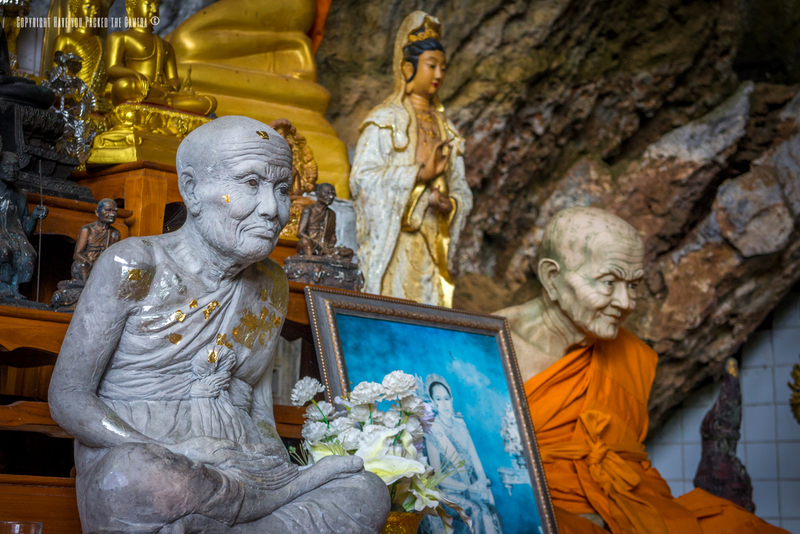 Within these tunnels there was a series of shrines dedicated to Buddha and the various Hindu gods. 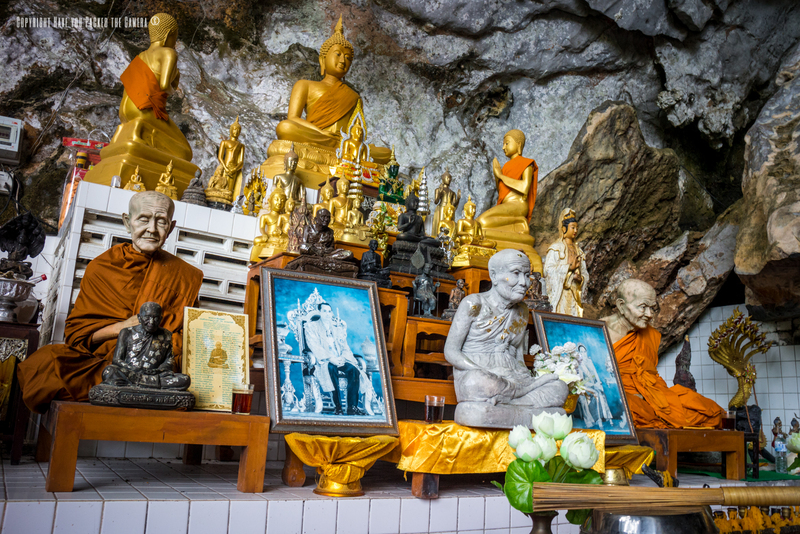 Furthermore, there was also the main meditation room complete with photos of the King and Queen of Thailand – throughout of Thailand adventure we noticed how revered the Thai monarchy was. Once we emerged from the caves we continued up several steeper flights of stairs – the railings were made from steel re-bar (which is coincidentally the material myself and Lauren produce and sell in our full time jobs!). At the top of the stairs we could see down into the cave and admire the cave ceiling with its stalactites and greenery – it was really beautiful and serene. 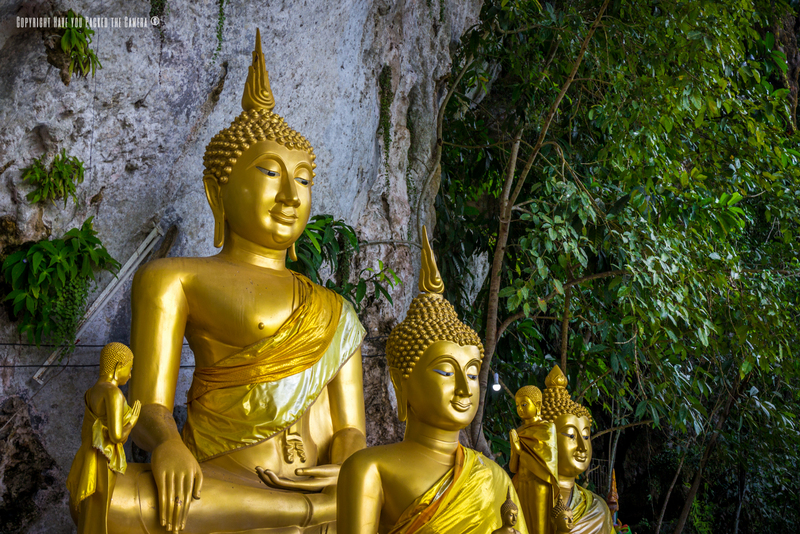 We saw several more shrines including a series of gorgeous Golden Buddha statues – I found statues such as these captivating due to their amazing coloration and the detail that is put into the Buddha's features. 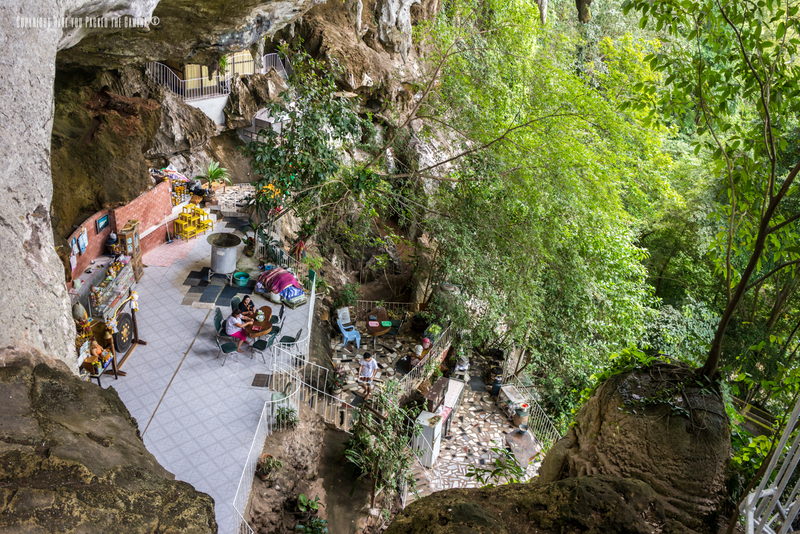 Adjacent to the Golden Buddha statues, the caves opened out to the surrounding countryside – the view was magnificent and for miles you could see sprawling and wild jungle canopies. 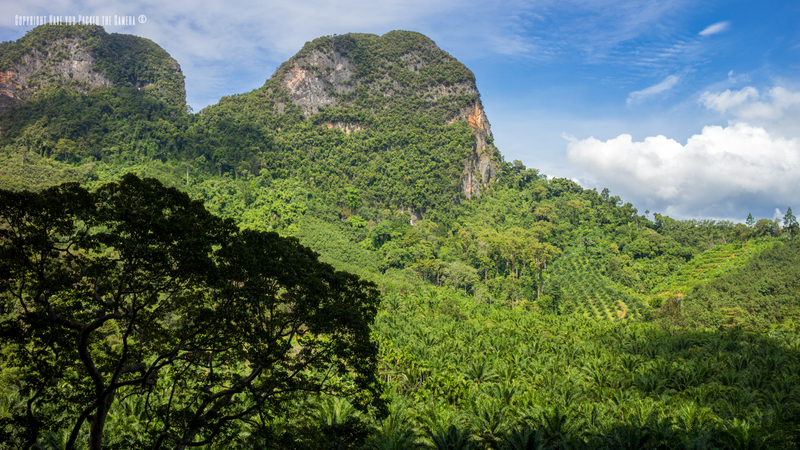 I love natural landscapes and this was the vision of Thailand I had in my mind before setting foot in the country – the hundreds of luscious trees, the vines and wild greenery and the towering limestone cliffs jutting out between the forests. We spent some time admiring the superb landscape and then headed back down to the main temple. Once we were back down in the main area we were treated to some delicious and refreshing herbal tea and also some awesome menthol liquid - we inhaled this through our nose and it worked in the same way as a nasal spray to clear your passages - both the tea and the menthol were made by the monks and locals so we brought some to take home with us! The dragon temple was truly beautiful and it was by far my most favourite temple of the tour - I loved the limestone cliff setting, the gorgeous statues and the tranquillity and serenity of the whole place.